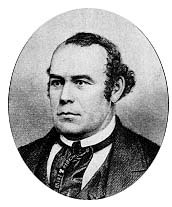 Most of us know of Parley P. Pratt and his brother Orson﻿—energetic, intellectual, indefatigable missionaries and writers, much of whose lives brighten the first years of the Church as examples of sacrifice and devotion. But we are not familiar with the full family setting of Charity Dickinson and Jared Pratt, whose five sons and their responses to the gospel ranged from rejection to apostleship. The family, in Orson’s words, “numbered among the poor of this world.”1 They moved from settlement to settlement in New York, working as farmers and as day laborers for others. The first child, Anson, was born in Canaan in 1801, William Dickinson in Wooster in 1802, Parley in Burlington in 1807, and the last two boys were both born in Hartford﻿—Orson in 1811 and Nelson in 1815. The family attended Presbyterian, Baptist, and Methodist services impartially without joining any of them. Jared had been trained as a weaver before the invention of the steamdriven loom destroyed his occupation. He encouraged his sons to get as much schooling in the public schools as possible, but as soon as the boys were old enough they began working for wages on neighboring farms and were self-sufficient at an early age. Yet, despite the social forces fragmenting the family, they seem to have remained close and united, trying to combine forces whenever possible. Meanwhile, in 1825 twenty-four-year-old Anson had taken fourteen-year-old Orson with him to Hurlgate, Long Island, where they both found work and Anson found a wife, Sarah Barber.3 Anson and his Sarah settled down there, not far from New York City, while Orson eventually moved back to Canaan. William had already disappeared in New York City in search of work; the family heard nothing from him for several years and feared him dead when a William Pratt was reported drowned in the Hudson River. This was not their William, though, as it turned out. He, like Orson, had been traveling somewhat aimlessly and was in Ohio in 1830, where his youngest brother Nelson had moved. Deciding to forsake all for God’s service and be a minister, he sold his property and, along with Thankful, made connections with a Cleveland schooner bound for Buffalo. But part way there, in Newark, he felt compelled to disembark, sending Thankful on alone. Within twenty-four hours, he had the Book of Mormon in his hands, given him by a fellow minister. A few hours later, “I knew and comprehended that the book was true. … My joy was now full.” (Autobiography, pp. 36–37.) On 1 September 1830, Oliver Cowdery baptized him in Seneca Lake and ordained him an elder. That winter, Parley accompanied Oliver Cowdery, Ziba Peterson, and Peter Whitmer, Jr., on the first mission to the Lamanites in Missouri. On the way, they stopped in Kirtland, and preached to and baptized Parley’s former teacher, Sidney Rigdon. For the next few years, the family participated with the Saints in the events of Kirtland and Missouri. Parley and Thankful had settled in Kaw township near Independence in 1832. When they were driven from Jackson County in 1833, they resettled in Clay County where Parley, who had been ordained a high priest by Joseph Smith in 1831, served on the stake high council with Orson and went to Kirtland in 1834 with Lyman Wight to report on the rising persecution. He helped Joseph Smith recruit the members of Zion’s Camp, including both William and Orson in 1834. William, as a result, was called as a seventy in the First Quorum on 28 February 1835, just a week after Parley and Orson both had been called as apostles.7 Orson, characteristically, was absent on another mission and wasn’t ordained until April. Parley’s labors began immediately. Although Thankful, never very strong, was ill with consumption, he served a mission in the East, where he wrote his first book of poetry, “The Millennium, A Poem,” and several hymns including “Ye Chosen Twelve,” number 211 in our current songbook. The apostasy that swept Kirtland in the wake of the Safety Society’s failure shook Orson’s faith; he filed a certificate of extortion against Joseph Smith and moved his family to New York, near Sarah’s parents.9 But his personal disillusionment had not affected his testimony; he continued missionary work, presided over the branch at New York, and helped publish one of Parley’s pamphlets, “Mormonism Unveiled.” (See Journals, pp. 92–94.) He made plans to join the Saints in Missouri as his testimony of the gospel reasserted itself, but the frozen river kept him at St. Louis until after the Saints, including William’s family, had been driven out of the state in the winter of 1838–39. This was a hard time for all the Pratts. 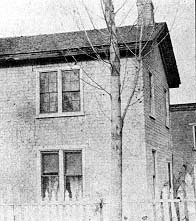 In about 1837, Anson’s family had moved from New York to new land near Detroit in Michigan. Parents Jared and Charity joined the household and Jared passed away there in 1839, at age seventy. Too poor to come to Nauvoo, Anson sent Charity there to live with William. Within weeks﻿—in August 1839﻿—Orson and Parley were on their way to the British Isles. Orson spent most of his time in Scotland and published Remarkable Visions, the first printed account of Joseph Smith’s first vision. Parley had taken Mary Ann, her daughter, and his two sons with him. They were there until April 1843, four action-packed and fruitful years during which he served as first editor of the Millennial Star, wrote such hymns as “Jesus, Once of Humble Birth,” “The Morning Breaks,” “Come, O Thou King of Kings,” and “An Angel from on High,” conducted hundreds of meetings, published an edition of the Book of Mormon, presided over the Church after Brigham Young and the rest of the Twelve returned to the United States, and supervised emigration. Orson left Winter Quarters that spring with the advance company. He took scientific measurements on the way across the plains and was the first Saint to enter the Valley on 21 July 1847. He returned to Winter Quarters with Brigham Young and some other leaders, meeting Parley on the way who, with John Taylor, was leading a party of 580 wagons that reached the Valley in September. (See Autobiography, pp. 357–60.) The two brothers virtually changed places: Orson was called to go to England from Winter Quarters, a mission that would last until 1850. Elder Pratt’s Salt Lake City home, located in the center of the photograph, just beyond the temple lot. On 13 May 1857, Parley was murdered while on a mission in Arkansas.19 Into the last five years of his life he packed a wealth of activity. He visited the settlements of Utah in 1853–54, went to California in 1855 and published his Key to Theology. In 1856 he went to New York to help John Taylor edit an newspaper, The Mormon, to defend the Church from anti-Mormon attacks. Writing to a friend in 1853, he summarized the scope and fullness of his life: “You ask for a history of my Life. … Its plain simple truths would be far more strange to you, than the thousand volumes of Modern Fiction. Then suddenly, his life was over. Orson was the remaining Pratt apostle during a life plagued by poverty but devoted to preaching the gospel and building the kingdom. He taught in the University of Deseret﻿—now the University of Utah﻿—from its founding in 1852, as a professor of astronomy. In the next few years, he published in Washington, D.C., The Seer, a periodical devoted to the doctrines of the Church, served a mission to England, helped survey the northern boundary line of Utah, served another mission to the East, moved part of his family to St. George for two years, went on a mission to Austria where “stringent laws” prevented his preaching, went to England, and finally returned to Salt Lake in 1867. During the fifties, he and Parley both kept in touch with their remaining and non member brother, Nelson, in Ohio. Details of Nelson’s life are sketchy, but we know he had three wives and four children; three children survived him. Like his brothers, he prized his family. He described himself as having “but little to do with World[ly] drink [alcohol].” He missed his brothers, longed to see them, spoke wistfully of moving to Utah to see them, and repeatedly invited them to visit him. For the most part, Orson’s family was a great comfort to him and he loved them as devotedly as Parley loved his. But his family was scattered, some members living in Salt Lake, others in Tooele, and others in Fillmore. During 1868 when the whole territory was suffering from a food shortage, Orson’s family also experienced times of hardship and trial. But things took a turn for the better and some of the family regrouped in Salt Lake. A kind and loving father, Orson felt great happiness and comfort having his family closer during the last ten years of his life. Salt Lake City home of Orson and Marion Ross Pratt. Seven years later, when Nelson died, all of Charity and Jared Pratt’s children were gone. Today, however, their descendants number in the thousands. Those introduced by the Pratts to the gospel also number in the thousands. A brief glance at the second generation shows us Parley, Jr., serving a mission to England, helping publish his father’s history, and lecturing on home industry. Helaman helped found Colonia Juarez in Mexico and preached the gospel in Mexico, New Mexico, Texas, and Arizona. Nephi Pratt served as president of the Northwest States Mission. Teancum helped found Helper, Utah; Lorus became a prominent illustrator; Moroni, a poet, helped colonize Meadowville; Milando became a member of the Salt Lake High Council and a patriarch. Many others were equally valiant and obedient. In the third generation Harold and Rey Pratt were mission presidents in Latin America; Rey was also a member of the First Council of Seventy. Una Pratt Giles shared writing talent with Mary Pratt Parrish, in addition to genealogical activities and the active acquisition of Church historical sites. Another cousin, Amy Pratt Romney, was a prominent teacher; Gladys Pratt Young married Elder S. Dilworth Young. For the thousands of Charity and Jared Pratt’s descendants, the poverty, displacement, grief, and suffering of these ancestors are simply a background against which their determination, love of God, and family affection shine brighter. Elden J. Watson, compiler, The Orson Pratt Journals (Salt Lake City: Elden J. Watson, 1975), p. 6; hereafter cited as Journals. Parley P. Pratt, ed., Autobiography of Parley Parker Pratt, sixth ed. (Salt Lake City: Deseret Book, 1964), pp. 26–28; hereafter cited as Autobiography. “Records of Early Church Families,” Utah Genealogical and Historical Magazine, 27 (Apr. 1936):81–82. “A Mormon Interview Copied from Brother Ashbel Kitchell’s Pocket Journal.﻿—(By E.D.B),” with cover letter, Robert F. W. Meader to Earl E. Olson, 4 Dec. 1962, pp. 5–6, Church Historical Dept. Archives. “Records of Early Church Families,” p. 81; Orson Pratt, “Ancestry of Orson Pratt, Sen.,” copy of Steven Pratt Collection, p. 16. Nelson Pratt to Orson Pratt, 20 Nov. 1853, Church Historical Dept. Archives. History of the Church, 2:204; Autobiography, p. 118. 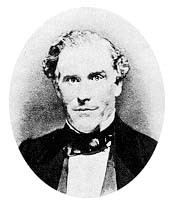 History of the Church, 2:184; Orson Pratt, “Ancestry of Orson Pratt, Sen ,” pp. 18–20. Lyman E. Johnson and Orson Pratt to the Bishop, 29 May 1837, Newel K. Whitney Collection, BYU Special Collections, Harold B. Lee Library. Autobiography, p. 168, Mary Fielding to Mercy Fielding Thompson, ca. 15 June 1837, typescript, July 1837, Church Historical Dept. Archives; “Parley P. Pratt to Joseph Smith, Jr., 23 May 1837,” Zion’s Watchman, 24 Mar. 1838. Cited in Richard Livesey, An Exposure of Mormonism … (Preston, Eng. : J. Livesey, 1838), pp. 8–9. B. H. Roberts, The Life of John Taylor (Salt Lake City: Bookcraft, 1963), pp. 39–40. William D. Pratt to Parley P. Pratt, 29 May 1842, holograph, Church Hist. Dept. Archives. Parley P. Pratt, “Family Record of Parley Parker Pratt,” photocopy of holograph, Church Hist. Dept. Archives. 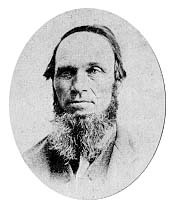 Arthur D. Coleman, Pratt Pioneers of Utah, (Provo, Utah: J. Grant Stevenson, 1967), pp. 309–311. “Incidents of the Battle of Nauvoo,” Manuscript History of the Church, following 30 Sept. 1846, pp. 350–51, Church Hist. Dept. Archives. Anson Pratt to Alpheus Cutler, 4 Nov. 1847, Church Hist. Dept. Archives; Council Bluffs Municipal High Council Minutes, 18 Sept. 1847, 27 Sept. 1847, in Brigham Young papers; Orson Pratt to Parley P. Pratt, 24 Apr. 1848; “Records of Early Church Families,” pp. 81–82; Coleman, Pratt Pioneers of Utah, p. 4. Orson Pratt to Parley P. Pratt, 24 Apr. 1848, Church Hist. Dept. Archives; Coleman, Pratt Pioneers of Utah, p. 34; Orson Pratt, “Ancestry of Orson Pratt, Sen.,” Orson Pratt to Parley P. Pratt, 4 Apr. 1854 holograph, Church Hist. Dept. Archives. Coleman, Pratt Pioneers of Utah, p. 34; “Records of Early Church Families,” pp. 102–4. Steve Pratt, “Eleanor McLean and the Murder of Parley P. Pratt,” BYU Studies, 15 (Winter 1975): 225–56. Parley P. Pratt to William Patterson, 9 May 1853, holograph, Church Hist. Dept. Archives. Nelson Pratt to Orson Pratt, 28 Mar. 1853, 20 Nov. 1853, holograph, Church Hist. Dept. Archives. Nelson Pratt to Orson Pratt, 13 Feb. 1854, holograph, Church Hist. Dept. Archives. Orson Pratt to Parley P. Pratt, 4 Apr. 1854, Church Hist. Dept. Archives. Coleman, Pratt Pioneers of Utah, p. 394. Milando Pratt, “Life and Labors of Orson Pratt,” The Contributor, 12:418–23, 462. Robert Steven Pratt, a graduate student in history at Brigham Young University, serves as Sunday School teacher in the Tooele Utah Fifteenth Ward.